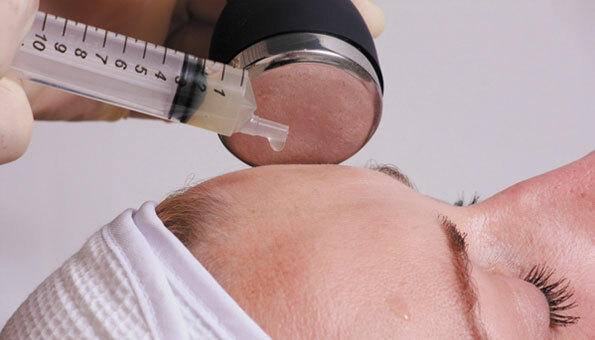 combine Mesotheraphy with our “Ultimate toning” treatment, providing Non-Surgical face lifting. This combination gives maximum results for our clients. We use a Needleless Cryoderm machine coupled with our Ultimate Toning machine. Visible effects are noticeable immediately after the first treatment. Every further session intensifies the effects with the skin becoming smoother, more elastic, brighter and healthier. We use Advanced Skin Technologies “Diamond Tip Abrasion” which removes dead skin cells, imperfections, blemishes, wrinkles and any unwanted pigmentation on the skin. We introduce various cocktails such as Mesotherapy BTOX (a Botox effect complex) and Mesotherapy Hydrafill (a filler) deep into the dermal layers of the skin by using ultrasound technology instead of injection, allowing us to perform a transdermal infusion of products. This is designed and formulated, to create a no needle alternative to Botox. Treatments are safe, fast and effective. The treatments will give you immediate visible natural results. Your skin will feel nourished tightened and lifted. Our clients find that their friends start to comment on how well they are looking after a couple of treatments. Most report very significant and noticeable improvements by the fourth treatment. Initially a course of 6 treatments is recommended to get optimum improvement to the skin..